If you’re looking for a latest generation ultraportable in the next 6 to 12 months, chances are you’ll have to pick between either a mid-level configuration powered by an Intel Core i5-6200U processor, or a slightly faster version powered by the Intel Core i7-6500U CPU. This post is about the latter option, the 6th generation Skylake Intel Core i7-6500U processor, as I’ve tested a few ultrabooks motorized by this CPU in the last days and I’m going to share my findings with you. I’ll tell you a few things about the architecture and about some of the less-known features of the Skylake platform, then I’ll show you how the Core i7-6500U performs in benchmarks and games, and how it fares against the previous Core i7s of its type, the Core i7-5500U (Broadwell) and the Core i7-4500U (Haswell). The post should come in handy if you’re undecided whether the Core i7-6500U is the right processor for what you need, but if you have any specific questions or need any help, get in touch in the comments section at the end of the article and I’ll try to help. Ok, let’s have a quick look at the specs sheet. The Core i7-6500U processor is a member of the Intel Skylake U platform (more about Skylake and the different subseries in this post). It’s a dual-core processor with HyperThreading and TurboBoost . The Cores are clocked at 2.5 GHz and can go up to either 3.1 GHz (Max Single Core Turbo) or 3.0 GHz (Max Dual Core Turbo) with TurboBoost. The CPU has a max-TDP of 15W (for the whole package), 4 MB of cache and can be paired with either DDR3 and LPDDR3 (up to 1600 MHz) or DDR4 (up to 2133 MHz) memory. It does not support vPro. The TDP can be lowered to 7.5W (cTDP) in certain configurations. This CPU is also fan cooled, thus it will be a part of the more powerful ultraportables launched in the months to come, but also of compact mini-PCs, mid-level all-in-ones and some of the full-size laptops designed primarily with efficiency in mind. On a first, look, when compared to the Core i7-5500U and the Core i7-4500U chips, the newer model gets a slight bump in frequencies and support for DDR4, but there’s actually more about it than meets the eye. We’re calling the Core i7-6500U a processor, but in reality it is a “package” that includes the actual CPU, the GPU and the memory controller on the same die, among others, as you can see from the picture above. 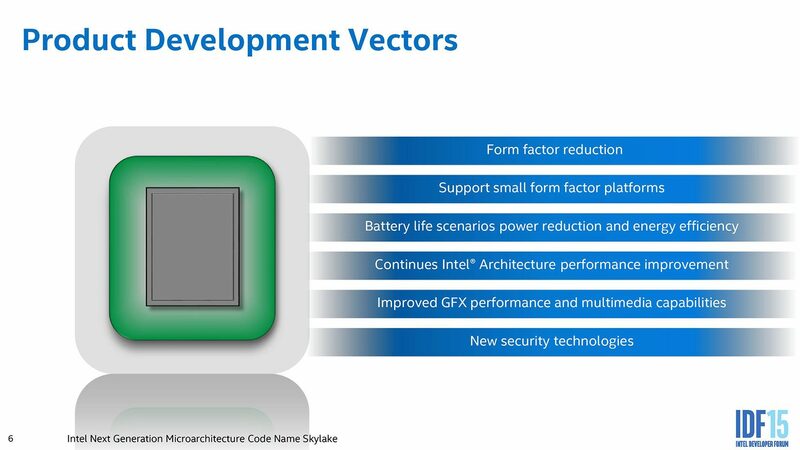 We talked about the CPU, now let’s turn our attention on the GPU, represented by the Intel HD 520 graphics chip, which is a GT2 version of the Skylake graphics architecture (you’ll find more details about it in this post). It includes 24 Execution units (EUs) clocked at 300-1050 MHz. This will probably sound like gibberish to many of you, but you’ll see in the following section that the Intel HD 520 chip is actually a significant improvement over the Intel HD 5500 and HD 4400 chips used in the previous generations Core i7s. Performance wise, the Core i7-6500U feels snappy in daily use, especially when paired with an SSD. This helps immensely, as well as having at 8 GB of RAM. I’d expect most OEMs to opt for DDR3 memory on the Core i7-6500U ultraportables, while in terms of storage we’ll see many M.2 SATA and PCIe configurations. Lower end laptops will be paired with HDDs or hybrid storage options, while at the other end we should see this CPU paired with PCIe 3rd gen options on a handful of premium models. The Core i7-6500U is more than capable of handling everyday activities. In fact, there’s no need to get the i7 if you only need a laptop for casual use, the Core i5-6200U and even the Core i3-6010U CPUs will do just fine. 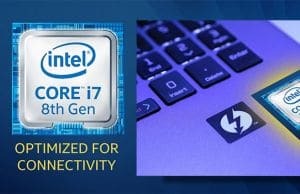 The i7 should be the choice for those of you in need of extra performance, those than plan to run a virtual machine, or maybe programs like Eclipse, Photoshop, Premiere and some other demanding software on their computers. The i7 won’t help much when it comes to multimedia use or games either, where once again the i5 is going to be the ideal pick, especially for the price-conscious buyers. All the Skylake platforms now feature a dedicated video hardware decoder, which translates in superior performance when dealing with video content, including 4K H.264 and the newer H.265(HEVC) standard. I’m telling you these because the Core i7 is more expensive than the Core i5 option (by at least $100, probably more) in most configurations and it will also run somewhat hotter and require more energy, thus will drain your battery faster. On the other hand, some OEMs will only offer certain features bundled with Core i7 processors, like 16 GB of RAM, the fastest storage options or the best screens. So in some cases you might just have to get the i7, although you wouldn’t actually need it, just to get the other goodies. With that out of the way, here’s how the Core i7-6500U fares in benchmarks against the Core i7-5500U and the Core i7-4500U versions. And some graphics related benchmarks. The i7-6500U results are based on a configuration with 8 GB of DDR3 memory and a M.2 SATA SSD. The other two are an average of an average :) . 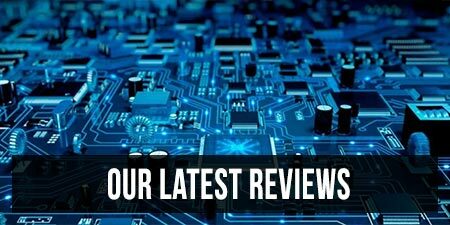 We made an average between the results obtained in our past reviews and Notebookcheck’s average for the two processors (available here and here), as they have a larger pool of test samples. The numbers tell us that the Core i7-6500U CPU is about 10% faster then the Core i7-5500U and 20-25% faster then the Core i7-4500U in multi-core CPU benchmarks, with smaller differences in single-core tests. 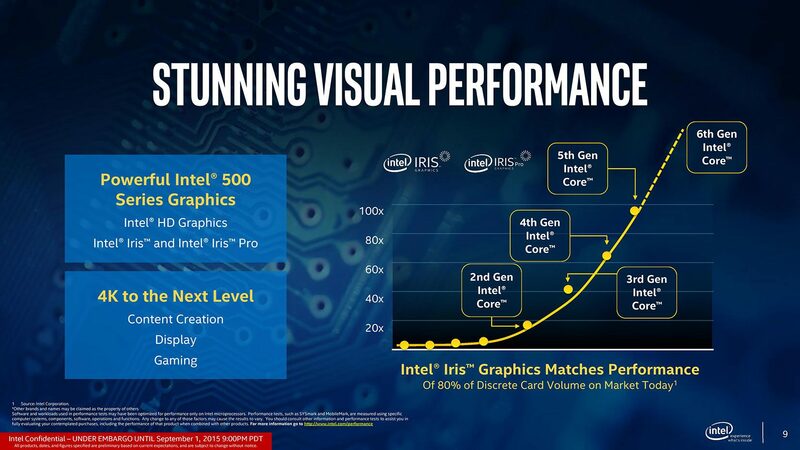 The Intel HD 520 graphics on the other hand is a more significant upgrade, as the results show 20-25% increased results over the Intel HD 5500 solution, and 30-40% improvements over the Intel HD 4400 chip. We also added the Nvidia 920M graphics chip to the mix (source), to show that the Intel HD 520 GPU is within 10-20% of its scores. In other words, if you only plan to play some older games sporadically on your computer, you might not even need dedicated graphics these days, thus you could opt for a smaller, thinner, lighter and longer-lasting device. BTW, here are a few actual gaming results, all the games running at 1920 x 1080 px resolution with low details. You’re not going to play the most demanding titles launched in the last 2-3 years on a Core i7-6500U configuration, but you can play older or simpler ones. 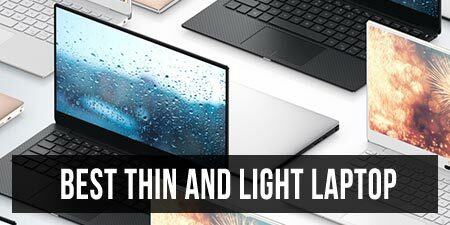 As we draw the line, the Core i7-6500U is the new benchmark for mainstream low-voltage processors and like I said in the beginning, will make its way into most of the popular Skylake ultraportables, including the higher end configurations of the Dell XPS 13, the Lenovo Yoga 900, the HP Spectre x360 or the Asus Zenbook UX305LA. But keep in mind that this processor is actually an overkill for the average user, which should rather aim for the Core i5-6200U CPU instead. That one is only marginally slower, offers the same graphics solution, is cheaper and somewhat more efficient. We’ll compare the two in another post. Bottom point, I feel the Core i7-6500U is a consistent upgrade. It’s not significantly faster than the older Core i7-5500U CPU, but performance was already there. 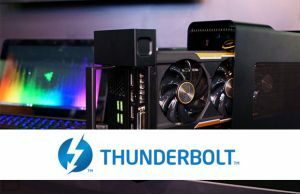 Intel chose to work on other factors, like improving the integrated graphics and efficiency, while adding those less-known novelties introduced with the Skylake platform: DX12 and PCIe 3rd gen support, the hardware video decoder or the improved WiDi and WiGig connectivity, but also the Thunderbolt 3 port or the Realsense 3D cameras that will make their way into Skylake powered machines in the months to come. So if you’re looking for a powerful ultraportable these days, you won’t regret getting a configuration with an Intel Core i7-6500U processor. Just make sure this is exactly what you need, as the Core i5-6200U is a more affordable option, while the 28W Skylake chips are a more adequate solution for those of you in need of even faster performance on their compact machines (but will only make their way into a handful of models, like the Apple MacBook Pro). Thanks a lot for this. I mostly use my notebook to watch multimedia and do pretty intensive surfing (10-20 tabs open at one time), with the occasional jaunt on photoshop. I was looking at an i7, but now I am rethinking the need for it. Then again, the standard configuration for the notebook at the top of my list is an i5 paired with a 128GB SSD, and an i7 paired with 256GB. So I may have no choice but to get an i7 anyway. Get the i7. However, the XPS 13 gets a dual-core Skylake U i7, while the other two get much faster quad-core i7s. So if you need the performance, you might want to go with the 15 inchers. Oh, I hadn’t actually realized that the XPS 13 was running on a dual core. Something to think about, for sure, though the price may still force me away from the XPS 15. You mentioned going with the 15 inchers for a quad core, but if I were limited to the Asus UX501 (with the poor screen you mentioned) and the XPS 13, which one would you recommend? My current laptop is an early 2009 Toshiba which remains largely usable. At the XPS 13 price point, I would be needing it to last at least 5 years. Would the dual core render that impossible? Yes, I would prefer a color accurate display since I do work in Photoshop occasionally. How about the fact that the Asus 15 inchers neither are Skylake releases nor include SSDs (in SG; and taking possible replacement into consideration, I believe the models with HDDs can only take SATA SSDs and not PCIe)? Wouldn’t those facts negatively impact the longevity of those models? SATA SSDs should be just fine imo. HDDs aren’t necessarily less reliable as SSDs, although they are more sensible to shocks. They are just much slower. I don’t know anything about Skylake updates for those Asus 15-inchers for the time being. Despite no Skylake, you’d still recommend the ASUS 15 inchers for the kind of longevity I’m hoping for, , though? Ok, thank you so much! I can’t tell for sure. Laptop’s can break in time. Asus is a mid-tier brand, not the most reliable, but not the worst either. I’d get extended warranty if available and everything should be fine in this case. I’m Black Friday shopping for laptops with a dedicated graphics card, from what I’ve seen, the price differences range from $50-$100. Would you still recommend the 6500 over the 5500? If so, what would the advantages be? How does it compare with the 6200U ? That’s an interesting question for a lot of people I think. why couldn’t the i5 / i7 sp4 be fanless? The Core U platforms are fan-cooled. The Core M chips are fanless. There’s a significant difference between the two lines, performance wise. I am a day trader and use three different charting software programs. The tech guys for each one say that more than a single core doesn’t increase speed for their sites. However, I am wondering if it might be better to have the 6700hq quad core as I will be using all 3 sites. Or do you think the 6500u is powerful enough for that kind of work? The three sites are ThinkorSwim, Tradestation, and Schwab trader platform. Thanks. Thank you for the information! 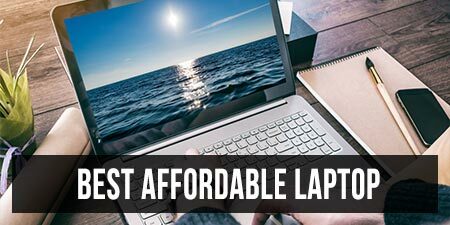 I’m a student going into college soon for an engineering degree (mechanical) and i was looking for a lower cost laptop that could suffice my needs. The i7 6500U proves a way out of expensive laptops, but im not sure if this will bite me in the back end later. Any opinion on my standpoint? first thanks for your helpful article.
. I work with engineering software and high cost function problem(like comsol,abaqus). what are you suggest for my work? Dell inspiron 6th gen i7 – 6500u 16gb memory vs Dell inspiron quad core 12gb memory best for play Karaoke music? Not sure what kind of resources you need for Karaoke music, but I’d say the i7-6500U should be enough and should last longer on a charge. I’m looking into the HP Spectre x360. Would you suggest getting the older version w/ i7-5500 or new version with i5-6200? Asking because the broadwell i7 is cheaper currently… Thanks! My usage is a few hours a day of multi tab web surfing 6-10 tabs, while streaming music. And sometimes recording music (only around 1-5 tracks simultaneously. Mostly 1 track at a time), without any heavy software synths. So the once in a while recording sessions shouldn’t take up too much resources since it’s all acoustic. I would gladly add the Extra money for the i7 but I noticed u wrote it gets hotter and is less efficient…. Since it looks like the performance of the i5 6200 is similar to the i7 5th gen, I would think it would be enough for me. So u think I should still put in the extra 120$ and get the i7? I think the i5-6200U should be enough for your needs. The i7 will get only slightly hotter and might eat a bit more battery in daily use, but in reality the i5 and the i7 are very similar, with minor differences in terms of max CPU and GPU frequencies and the amount of cache RAM. IN other words, the temps and battery life should not stop you from getting the i7. The price difference could though, especially if you plan to use the difference to get an SSD, which is going to have a major impact on performance. hi. before i saw ur reply, i ended up buying the i7. the realized that its worth the 1 time investment to spend a little more and get the slightly better chip, since the benchmark is definately higher, and it has more potential, which ill probably need to use at sometime. I’d reckon you’d need a fast CPU and a lot of RAM for those programs, so if that’s the case, get the computer with the fastest CPU possible within your budget. All those above are built on dual-core platforms, which are fast enough for daily tasks and offer good battery life. But if the speed is your primary concern (might be, I don’t know what kind of software you’re going to run), I’d recommend a computer with an Intel quad-core processor (i7-6700HQ, or the older i7-5700HQ and i7-4710HQ). hello! I’m upgrading my laptop which was using the older i7 2630qm quad core. I’m having a bit of a dilemma on the new processors. Both comes with 8GB ram and Nvidia GeForce 940m. My old processor served me well and was fast enough for my needs despite multi-tasking quite a bit. So I’m left with whether i should go for the i7 6500u + ssd or should i go for quad core i7 6700hq. Quad core will definitely be good for multi-tasking on various programmes, but with so many new processors nowadays, i’m just wondering if the 6500u with a small ssd might just suffice for my needs. Do let me know if you have any advise for me, thanks! Deepends how complex those Photoshop projects are? For cropping, levels, basic things, the I7-6500U will do, for rendering and advanced filters, you’ll probably want the quad-core. That aside, the dual-core is good enough for any daily activity and it’s mote efficient. Plus that SSD will sure make the overall experience much snappier than on any laptop with a HDD, regardless of the CPU. SO even if you end up with the quad+core + HDD, you might want to upgrade that later. Yeah i do wish i can purchase a quad with ssd as well but for now its out of my budget. Having said that, i think i shall go for quad + hdd since i’ll be doing more than the basics in photoshop :) Thanks for your advice! Hi, I’m doing architecture. Do u recommend i7-6500U to handle software like autocad, Rhino and render image software. As the laptop which I’m using is way Super lag to handle them.. (Intel (R) core (TM) i7-4510U CPU @ 2.00GHz 2.60GHz. Or I should I Built a new a deskstop from scratch? I’d get a quad-core CPU for those tasks, preferably a Core i7-5700HQ or the Core i7-6700HQ if possible. You can of course build a more powerful laptop withing the same budget you’d have to spend for a powerful laptop, but it won’t be as portable. So it’s up to you to choose what you need: the performance or the portability. 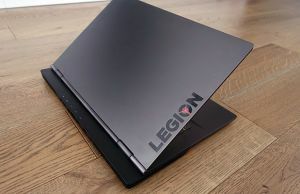 once in a while i need to show/demo oracle hyperion or ibm cognos on vm, i’m considering zenbook ux305 i7-6500U 8Gb 512GB SSD, would like to hear your opinion whether this machine suits my need. Thx! I have a I7-6500U processor. How do you activate a turbo boost? Turbo Boost kicks in automatically when possible/required. If you launch the Task Manager you should see the CPU’s frequency under the Performance Tab. i bought the new dell laptop Inspiron 7359 with the i7-6500u processor, 256GB SSD, 8GB Ram, intel HD 520, and i start testing the processor it reached just 2.5GHz as it maximum speed i loaded so much heavy software and it had become so slow and started to crash a little bit(some software not responding) and the SPU didn’t passed the 2.5GHz speed. i did every thing, searched every where to find out how to reach the maximum real speed for the processor(3.1GHZ) i didn’t find any answer(and i searched in intel support for turbo boost and i contacted with them and we did a diagnose for the processor it passed fix) , i hope if you can help me with that and thank you vary much. For render and gaming and everyday use… it comes with a 4G video graphic radeon card, 8G RAM,and I think is a nice deal…. What do you think is a good purchase??? The Dell 5559 is a very solid pick. Alternatives are the Asus Gl552VW, Acer VN7-592G and MSI has one as well. But these might be more expensive than the Dell. i bought the new laptop lenovo ideapad 300 with the processor celeron faking slow jaja pls help me. I want to upgraded this laptop processor celeron to 5i 6200U or 6500U. Isnt posible to upgraded?? What do you think of the Asus Vivobook 4K (VM590U) vs Asus ROG GL552JX? The former has a 6th-gen i7 6500U while the latter has the 4th-gen i7 4750HQ. Which one will be sufficient in heavily running Photoshop and light usage of video editing program? Or browser with hundreds of tabs open? I know that the quad core-equipped laptop has the edge, but will there be a performance gain given the generations that each CPU belong to? Your insight will be appreciated. 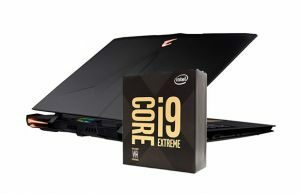 I’d get the ROG, especially since it’s also paired with the ability to take more RAM and a faster dedicated graphics chip. I’d reckon they sell for the same price, since you’re considering one or the other? The ROG 5l552JX has a pretty fragile screen ensemble, I think that’s the version with a plastic lid cover, so that’s something to keep in mind. But it’s still a more powerful and overall better balanced product imo. 1. I’m just not sure if it has an IPS screen. 2. The ROG is also pricier by $200. 3. For future-proofing, how will Haswell fare? You mentioned the GL552JX first, and now you’re listing the N550JX. If it’s the N550JX, then the CPU is going to help with extensive tasks, but I’m not that sure it’s actually worth $200 extra over then Vivobook. The Skylake processor is better at dealing with video content/encoding/decoding, but the Core i7-4750HQ is still a quad-core and will be faster with multitasking. I wouldn’t worry about the Haswell CPU not being futureproof. I’m sorry about the confusion. I meant ROG GL552JX. I think I’m choosing Haswell quad over the Skylake duo. Information and reviews about the Vivobook VM590U is scarce. I guess it wasn’t given a wide release. The thing I have to do now id to find a Haswell-powered laptop with IPS screen. The sensible decision for me is to not gamble my money on the untested Vivobook. IF the GL552JX gets the 1920 x 1080 px screen, that’s an IPS panel. THis is a very good review: notebookcheck.net/Asus-GL552JX-Notebook-Review.147902.0.html , I haven’t tested the GL552JX here. I’d go for the ROG too. The GL552JX has been discontinued in our region. 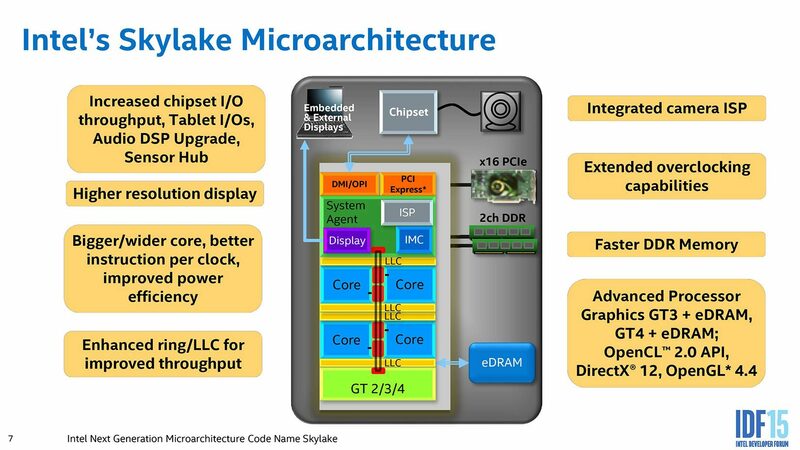 But there’s a new model with Skylake CPU with model ID GL552VX. I just can’t find any info regarding its screen. I am planning new ultra portable laptop to replace my old one. I need it for music production and work. That’s all. All I need is fast CPU and decent amount of RAM. I have Intel Core i5 3570K in my PC and 8 GB of ram and it works fine for music production. Will Intel Core i7 5500U be enough for me with 8GB of RAM for music production? I mean would it compare to my PC? My main gripe is that i7 is 2 core and my i5 is 4 core. Laptop I am planning to get is Acer Switch Alpha 12. I need something small and fast. For work I use external monitor and keyboard. No games. I was considering Surface Pro 4 as well (without keyboard). Any suggestions. Maybe some other ultra portables to recommend? I’m looking at purchasing the Razer Stealth Blade and coupling it with a Razer Core which will essentially act as the laptops GPU via an external case connected via a Thunderbolt USB-C connection. My biggest concerns is the CPU bottlenecking the GPU performance output and was hoping you’ll be able to recommend or advise on what tier of GPU the i7 6500U would be able to handle without any bottlenecking. I’m looking at only gaming playing predominantly DotA2, Overwatch, and CSGO with a plan to purchase an ASUS MG279Q monitor. I understand that you will not have benchmark results but would appreciate your educated estimations. 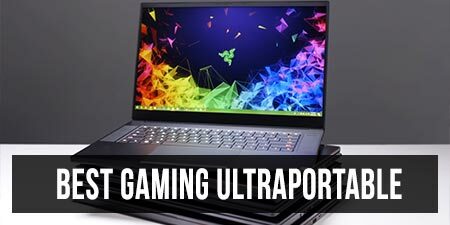 Derek is more familiar with Razer laptosp and he owns the Core as well, you should see these two posts: https://www.ultrabookreview.com/9777-razer-blade-stealth-review/ and https://www.ultrabookreview.com/10761-razer-core-review/ and ask him the questions in the comments of any of those posts. Thanks so much Andrei – really appreciate your assistance. Really glad I found this site as I have not been able to find any real information on what this processor is truly capable of. I have Read through the comments and reply’s but would appreciate a reply in my case. Just last week I purchased a HP Envy 17″ HD touchscreen laptop. I think I got it for a great price ($870 after tax) because HP is trying to make up for something with me but I guess I could be wrong since I don’t know very much about how the specs really work and interact. I use AutoCad all day for work and my current i5-3230M with 6gb RAM is more than enough but I’ll be learning a program called Tekla so I need something more advanced and thought this would fit the bill. I don’t know how this program relates to advance photo/video editing but there is 3D modeling involved. Pretty much purely structural(steel). However the more I read about this processor being a 2 core the more worried I am that I need something with a better (quad core) processor. Everything else is exactly what I wanted and like I said I thought I got a steal of a price. I apologize for being so lengthy but any thoughts would be greatly appreciated. I have just heard of bottlenecking recently. Is the 16gb useless with a processor like the i7 6500u; would get the same results as a 8 or 12gb? HI, if I understand correctly, you already have this laptop, so you can actually test how it works with that particular software or your Autocad Loads. Try to think of a more demanding use scenario and see how it copes. Compared to your older config, the new should be faster, not by a whole lot though, since this is a Core U platform and that was a more powerful version at its time. I’m not familiar with Tekla so I can’t offer any advice. The configuration is solid for the money, but it’s still a 15W hardware platform which isn’t meant for heavy loads. You’d have to go for a 45W QM processor for that (like the COre i7-65700QM or a previous generation), which should be available in 15 and 17-inchers around $1000 and up. On the RAM question, modeling and editing software usually benefit from as much RAM as possible, but I can’t say how well optimized Tekla is. Still, I wouldn’t worry about that. Bottom point, try the HP out with your use scenarios. If it works, keep it. If you want a more powerful modern laptop and can spend a little more, look for something with an HQ processor instead. However, there’s also the question whether Tekla works well with multi-threaded processors (the Us are dual-core/4 threads units, the HQ are 4 Core / 8 Threads), which I can’t answer. If it doesn’t, then the HQ might actually not be worth paying extra for. Autocad and other demanding apps would benefit though. Do you think a computer with Intel Core i5 6500, 16GB of Ram and the AMD Radeon R9 M380 (like the entry level 5k iMac) could handle 4k editing (no multicam) and color grading properly? Or even handle 4K CinemaDNG Raw footage (265MB/s) or Apple ProRes 444 in Final Cut Pro X? first thanks for this article. Now my question, is this computer -visit the link- (notebookcheck.net/HP-ProBook-470-G3-Core-i7-6500U-Radeon-R7-M340-Notebook-Review.155142.0.html) can hundle both professional and multimedia uses. Well, it should. To get the most out of it you should install an SSD in the spare M.2 slot, as indicated in that review. I am planning to buy a Dell 15-5559 with a i7 6500u processor and it comes with 5gb RAM. I am an archaeologist and currently only use my laptop for writing in Office Word, pdf lectures and easy work on Adobe Ilustrator. 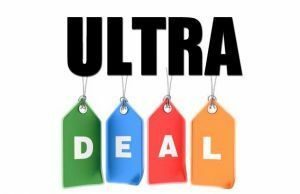 Do you think is a good deal? Maybe in the future I will install Autocad, Surfer or GIS, but is only a possibility. Thanks for your time! Does it come with 5 GB of RAM or 8 GB of RAM? It’s better to get something with 8 GB of RAM, that should be enough for daily use and some more demanding apps. Hi. I just bought a Dell Inspiron 5559 which has Intel i7 6500U. My question is "Will it perform games like GTA-5 good(Not expecting for the best) in low settings? Does it get any dedicated graphics? If not, I don't think you'll be too happy with the performance in GTA even on the lowest settings and 720p resolution. so if i'm running eclipse would you say i'd see a noticeable boost between the i7 6500u and the i5 6200u? i'll be paying USD100 more for the i7, but it comes with a touch screen upgrade as well over the i5.